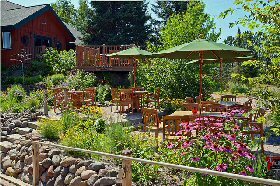 Cable Nature Lodge is a boutique guest lodge set on 22 acres in the heart of the Chequamegon-Nicolet National Forest. It features superior quality lodging for nature lovers and outdoor adventurers, with seven guest rooms designed to offer a distinctive blend of rustic elegance. Just downstairs in the same building is Rookery Pub Fine Dining, an award-winning casual gourmet restaurant named to TripAdvisor’s Hall of Fame as a Six-Time Certificate of Excellence winner, and also the only restaurant in the area rated Three Diamonds by AAA.